There’s no doubt about it: the 2017 Mercedes-Benz B-Class has a spacious and luxurious cabin. Featuring amenities like standard heated front seats, optional sunroof, and a high-mounted 7″ colour display, the B-Class is sure to impress you and your passengers, and provide a smooth, quiet ride. 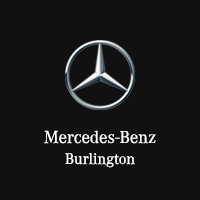 See what awaits within the plush interior of the 2017 B-Class at Mercedes-Benz Burlington, located near Hamilton and Milton in Ontario. The 2017 B-Class fits five passengers comfortably, with room in the rear seats for three adults, so no one gets left behind! Drivers and passengers alike will fall for the plush ARTICO leather seating, which is available in four distinctive colours to suit your style. Enjoy the various comfort and convenience features that are included in the Versatility Package, like a fold-flat front passenger seat and sliding rear bench. This available package kicks things up a notch by providing THERMOTROPIC climate control, and integrated Apple CarPlay/Android Auto controls. You’d be hard-pressed to find a cabin that comes close to the one you’ll find in the 2017 Mercedes-Benz B-Class. As you sit either in the front row or in the back, you’ll be surrounded by comfortable, ARTICO leather. Open up the optional Panoramic sunroof during for some fresh air on a nice day as you zip around Lake Ontario, while ambient LED lighting ensures that you have are bathed in an appealing glow. Taking care of some shopping? Simply reconfigure the rear seats. The back row of the B-Class are split-folding 1/3-2/3, so you can customize your seating and cargo arrangement depending on your personal needs. And, with 48-1,547L (max/min) of cargo space in the trunk, you can hold all of your essential items without feeling cramped. You even have two package options to upgrade your driving experience as per your preferences. Choose the Versatility Package for additional convenience features like a fold-flat front passenger seat and sliding rear bench seat. Or opt for the Premium Package to keep things classy. Its touches like these that ensure a delightful drive each and every time in the 2017 Mercedes-Benz B-Class. Hungry for more? Simply contact our staff to receive more details on the 2017 B-Class, and set up an appointment for a test drive! A division of Quantum Automotive Group.